The wait is over. With ParkMobile, you can easily reserve garage parking in Covington, KY ahead of time. You can even find downtown garage parking in Covington! Get the app for iOS or Android. Want to Reserve Covington Garage Parking Near You? Great! You're ready to embrace a new and easier way to park. Reserve hourly garage parking in Covington online, today! You'll see garages with available spots (and ones that are full), reserve Covington garage parking ahead of time, and pay for your parking. Make a reservation through the ParkMobile app and get extra perks, like alerts before your parking session expires. That means if your meeting runs long, your lunch date turns into a happy hour date, or you simply want to stay out-and-about, you can! Just extend your garage parking reservation and forget about getting towed or ticketed, or hustling back to a confusing payment kiosk. ParkMobile's alerts and pay by phone parking app mean parking concerns never have to get in the way of a good time again. You can reserve your garage space days ahead of time, or fly by the seat of your pants and use the ParkMobile app in-the-moment. Whatever your trip calls for, ParkMobile can make sure the parking part is a breeze. Covington is such a unique city. You deserve to enjoy everything it has to offer! Let ParkMobile guide you in the ways of downtown Covington parking. We can hook you up with affordable and fast garage parking near all of the big Covington attractions, including airports, sports arenas, museums, academic institutions, amphitheaters, and more! 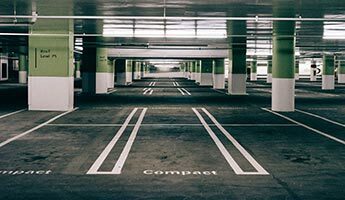 There are hundreds of empty parking spots in dozens of Covington parking garages, all at your fingertips. Once you complete your garage parking reservation with ParkMobile, your spot is guaranteed reserved, so you won't have to drive around the block looking for parking again. Make your next trip to the big city an easy one. Use the ParkMobile app or go online to save time and money on Covington garage parking reservations. You can do it right now! Get parked and get a running start wherever you're headed – museum, courthouse, opera, festival, big game, or brunch with friends and family. Reserve hourly parking in a Covington parking garage near you today!